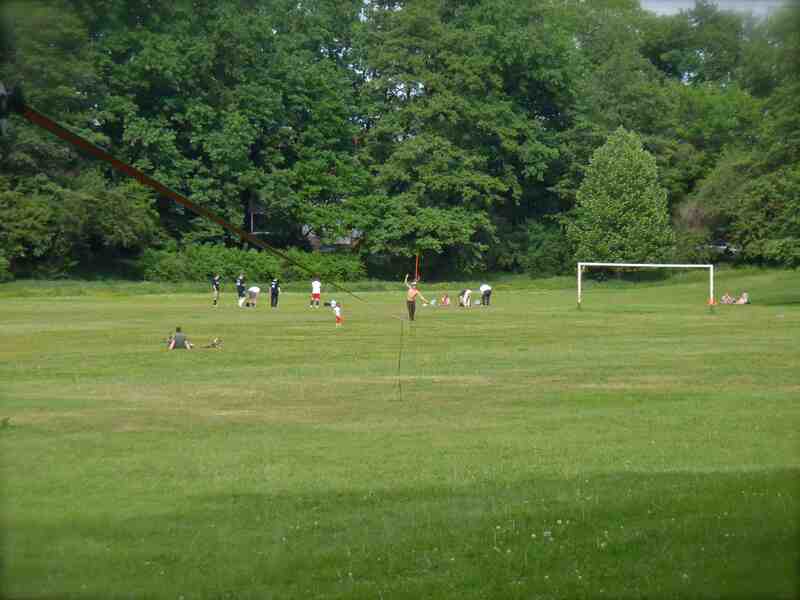 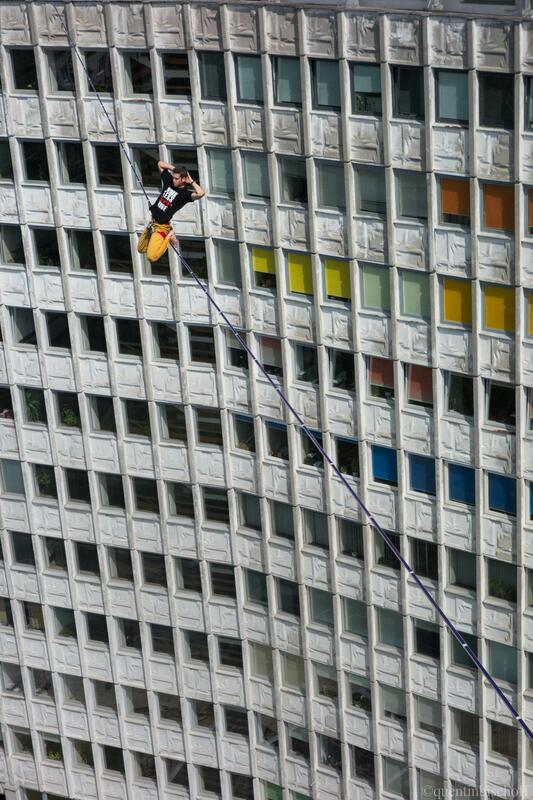 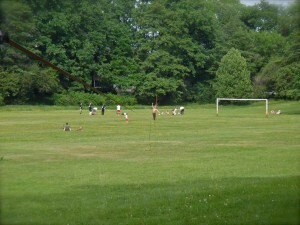 For a past few years almost everywhere I went slacklining, I was with the guys from EQB team. 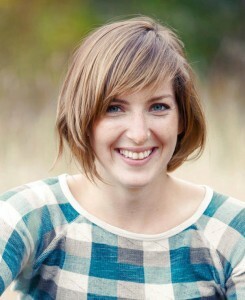 And I knew they want me 😉 The only problem was my membership in competing companies. 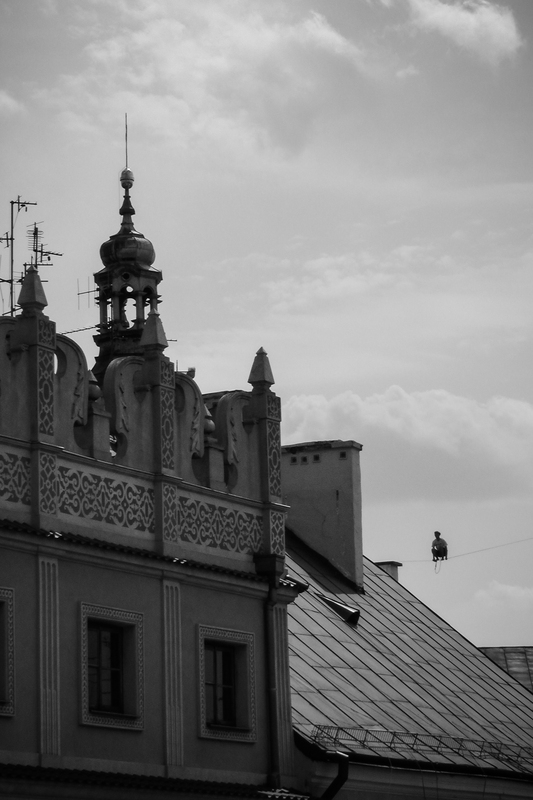 « To se stává » which means « That happens ».. which means you shouldn’t worry too much about things that you cannot influence or that do not matter that much. 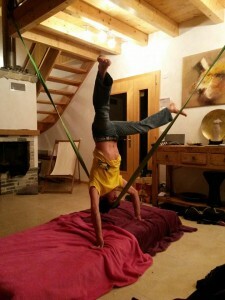 Maybe that I am « lazy ». And I am really not a super productive person But when it comes to a real challenge or something that matters to me, I can be surprisingly efficient. I always said my motto is: « Life is a game. 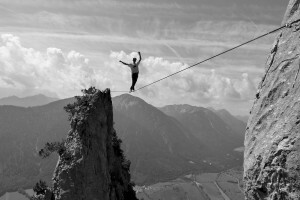 » And I still believe in that. 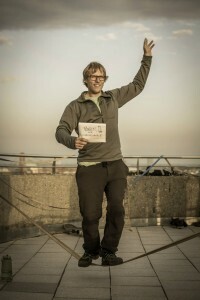 Helmut Netwerker est l’un des maitres de la longline ! 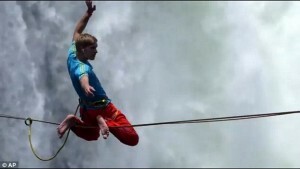 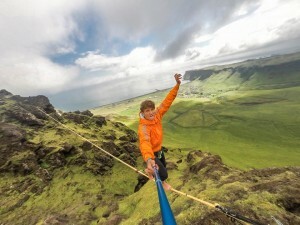 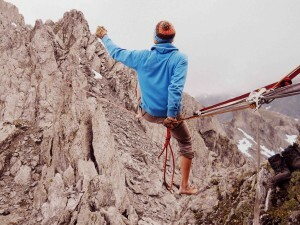 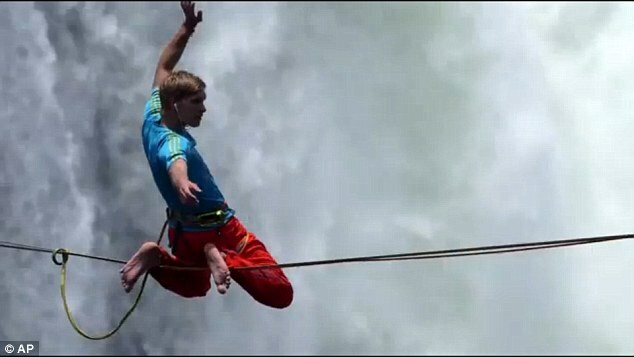 Comme vous pouvez le voir dans la rubrique » record « , c’est Yuri Rhodenborgh qui détient le record de la plus long slackline traversée au sol en polyester, et sachez que ce jour là il n’était pas le seul à battre un record du monde : Helmut l’a traversée aussi ! 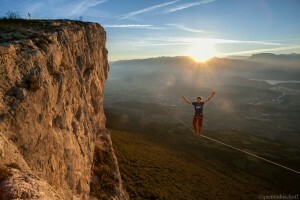 Il n’en est pas resté là d’ailleurs puisque dans la même journée il a aussi battu le record du monde sur sangle en nylon !! 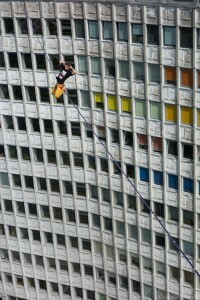 405 m sur la polyester et 283m sur la nylon. 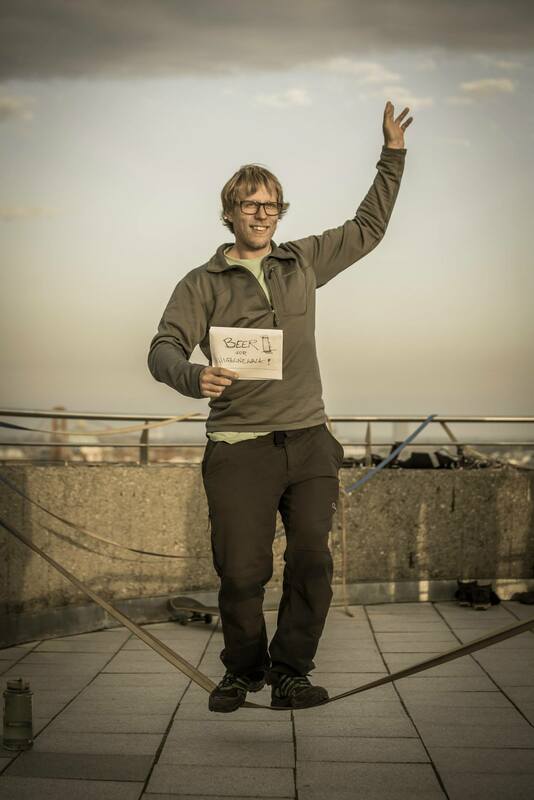 When did you send your two world records ? 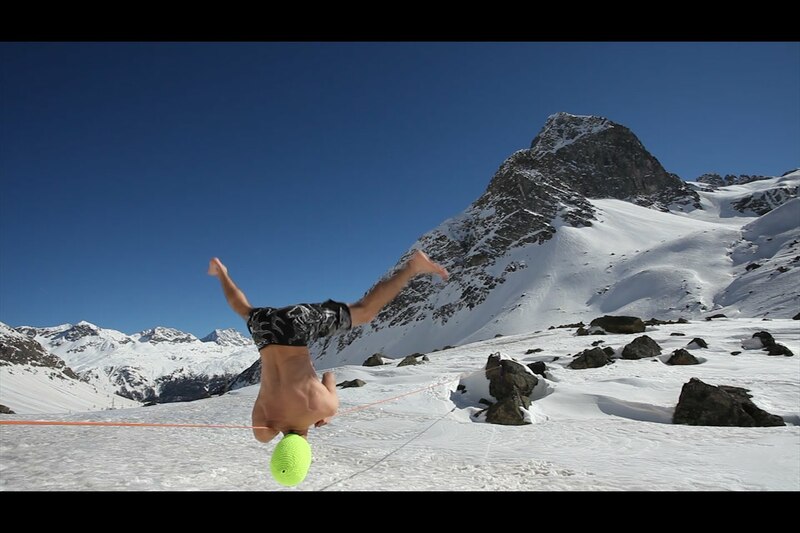 We know that Yuri crossed the 405m too, and we can read his traning story, what about yours ? 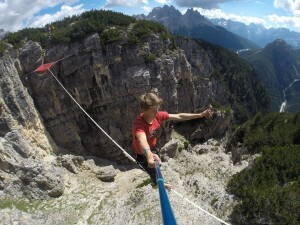 Philipp Gesing invited me to his event and I just wanted to know how bouncing a 400m line feels. I didn’t train especially for this line. 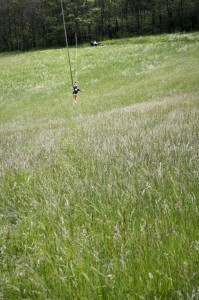 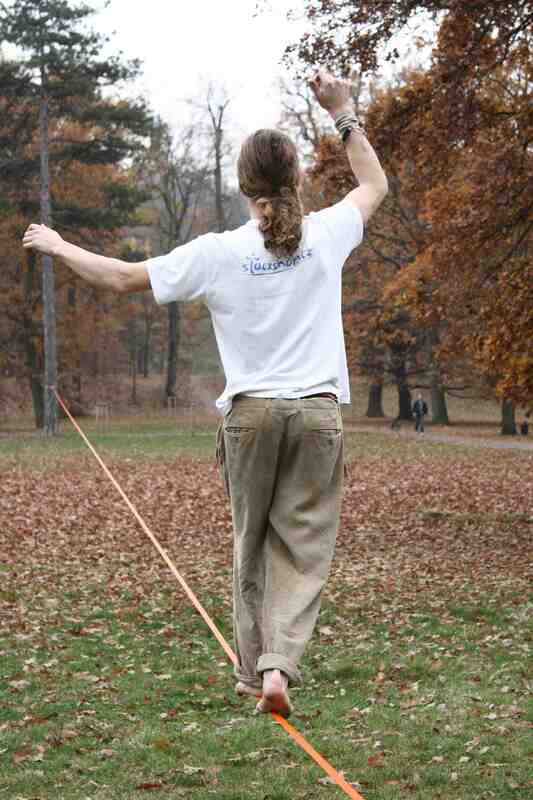 If I go slacklining, I always train or try to push my limits. 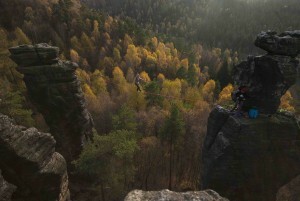 After rigging both lines, Yuri was the first who started on the 405m (skillshot) and as nobody else wanted to, I went to the 283m (Type-18). We walked it both. Couple of minutes later I tried the 400. 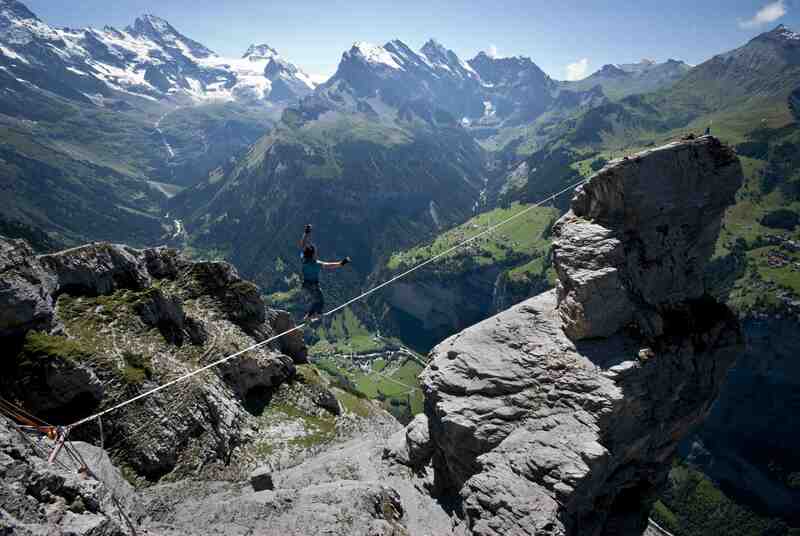 I wasn’t confident with this line in first place so I needed several tries to walk the first 100m. 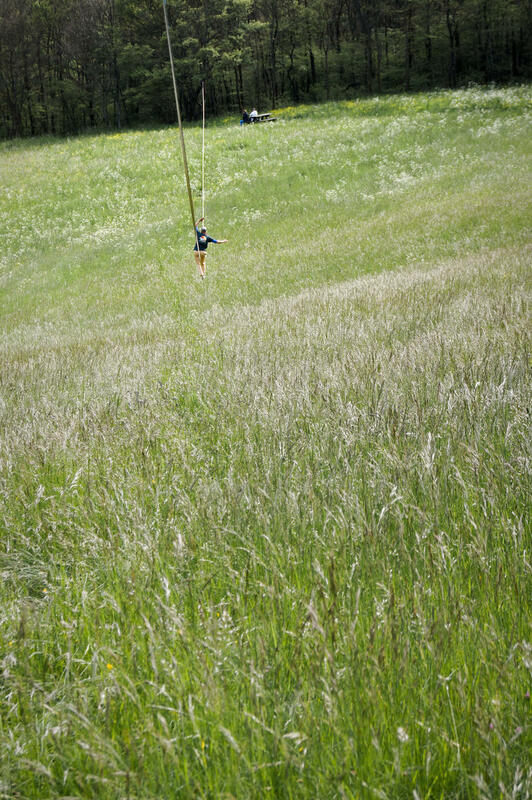 After playing in the middle I gave the last part a try. 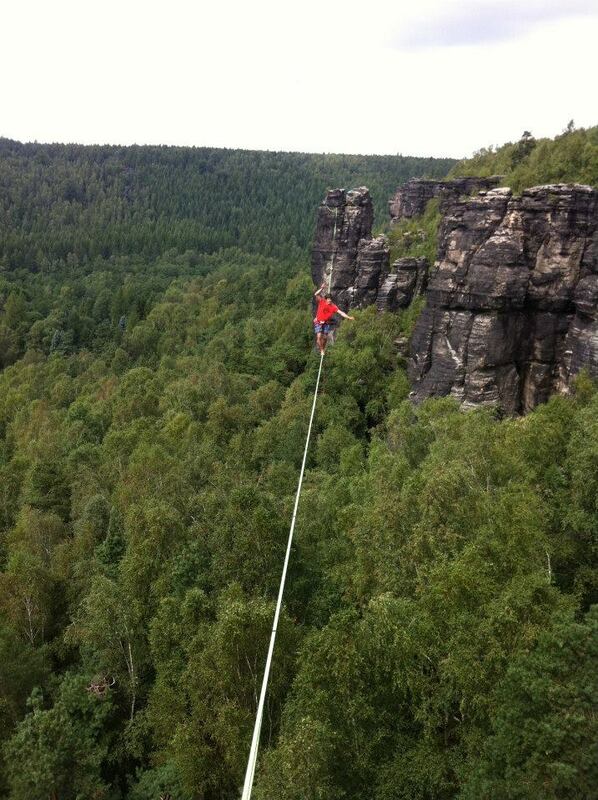 As I managed to walk the last part without any struggles, I was self-confident enough to sent the line, so I did it. 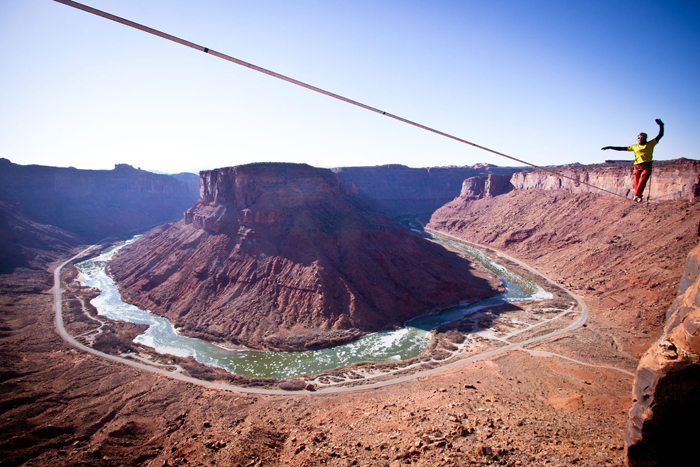 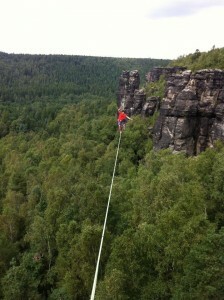 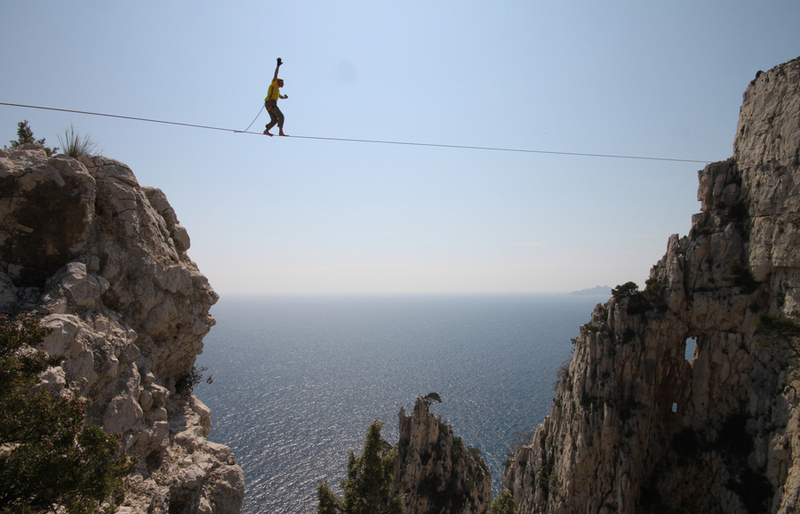 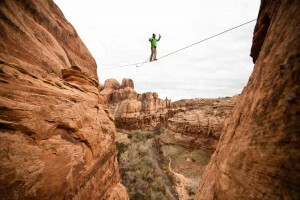 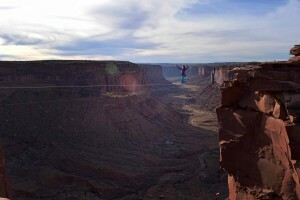 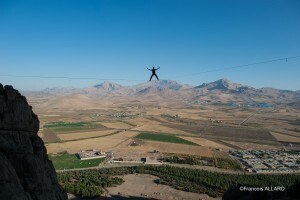 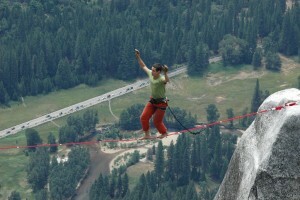 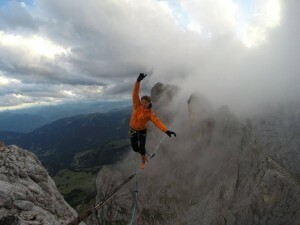 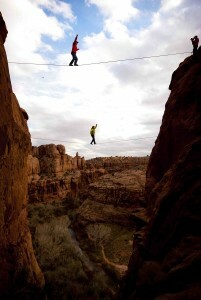 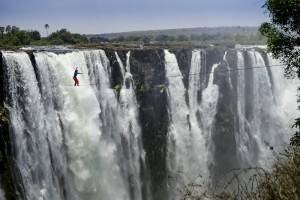 What the longest highline you walk ? 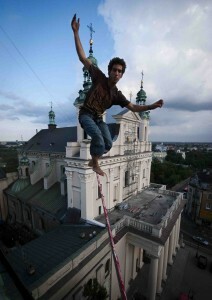 Do you have any sponsor ? As you can actualy see, in France there is a debate about the possible slackline federation, what about federation in your country and are you involved ? 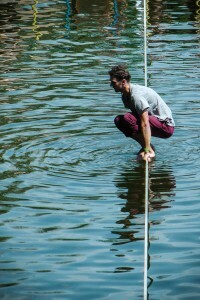 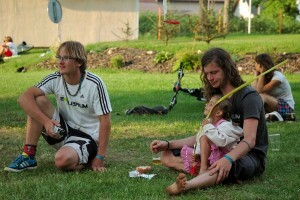 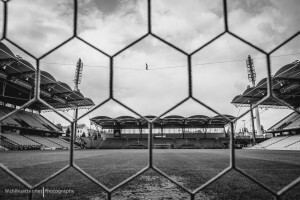 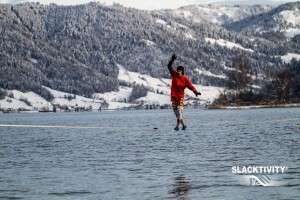 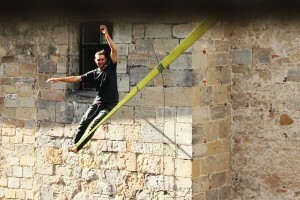 In 2011, the three biggest slackline associations from Austria (slackline.at, teambalance, vienna-slackliners) found the austrian slackline federation. At the moment I am president of the federation. 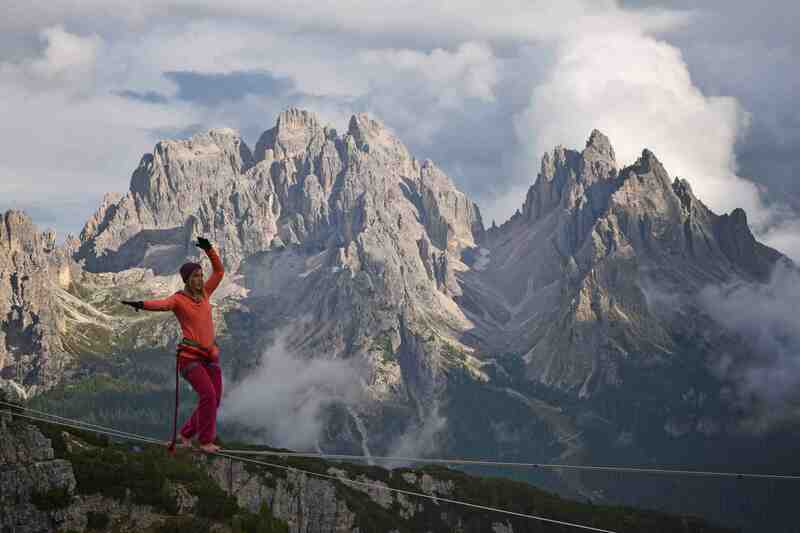 Highline should be completly free or should be rules ? 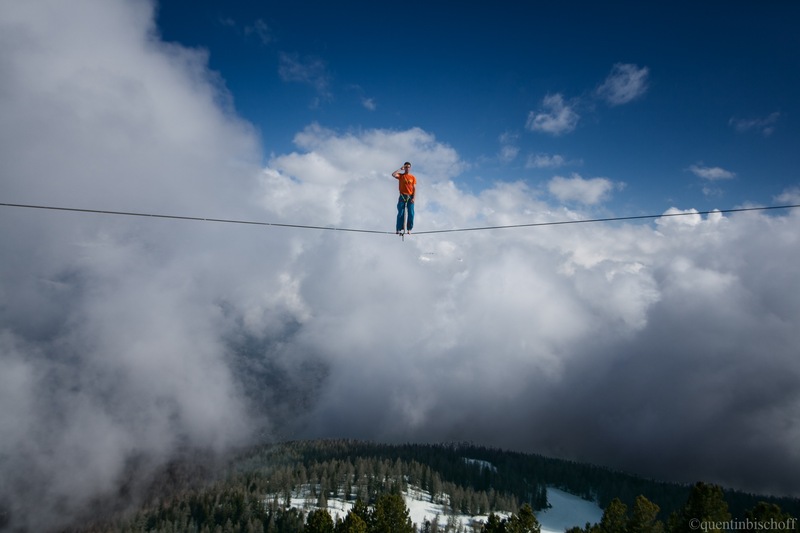 What was the last line you walk ? 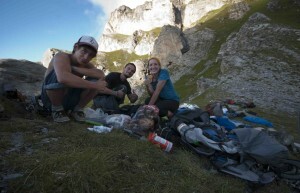 Something in you refrigerator ? Your biggest weakness is ? 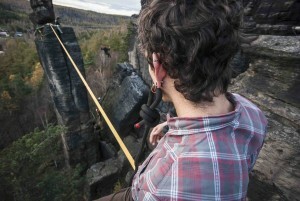 What webbing you usually use ? 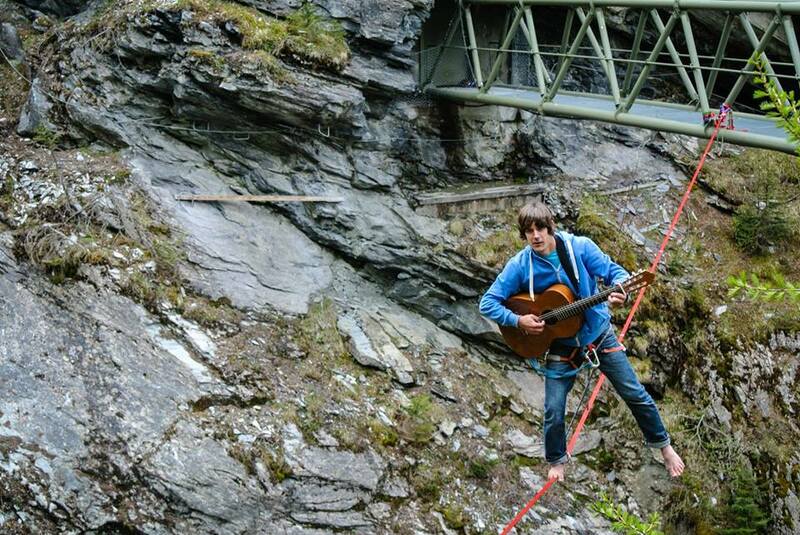 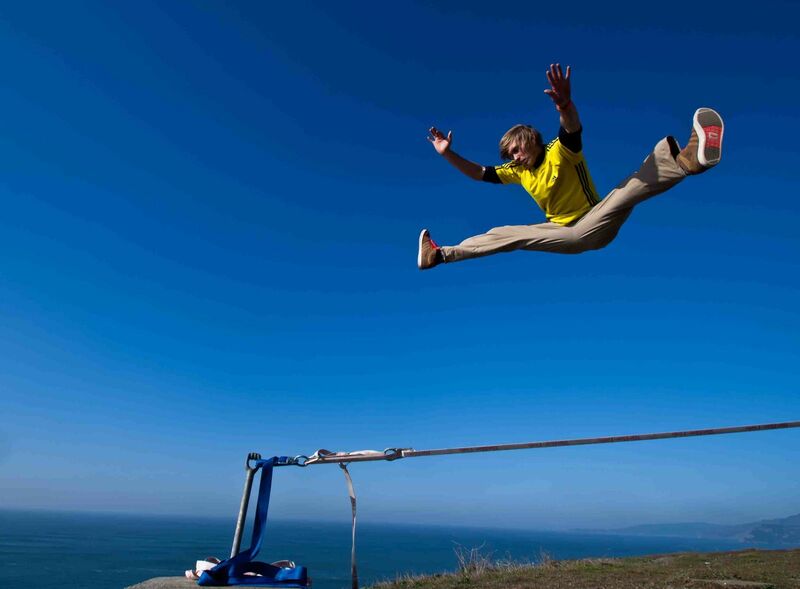 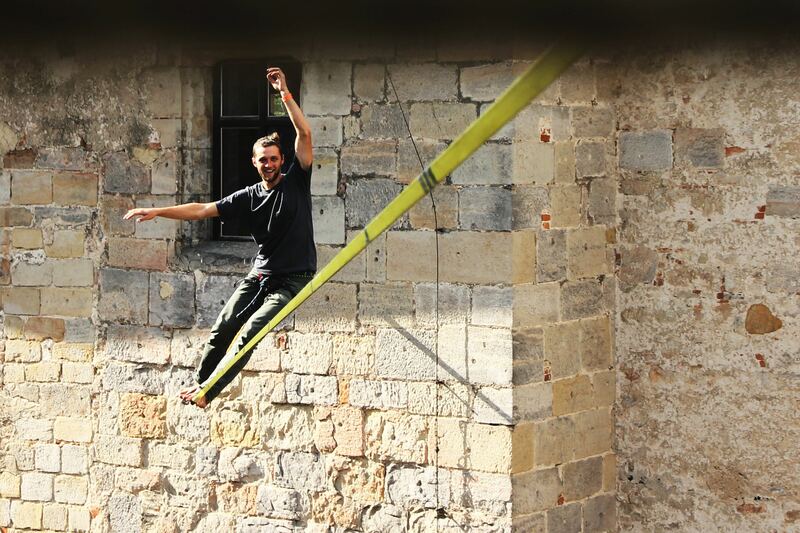 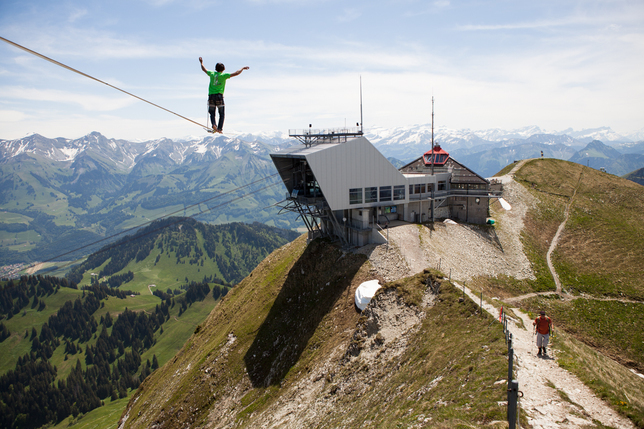 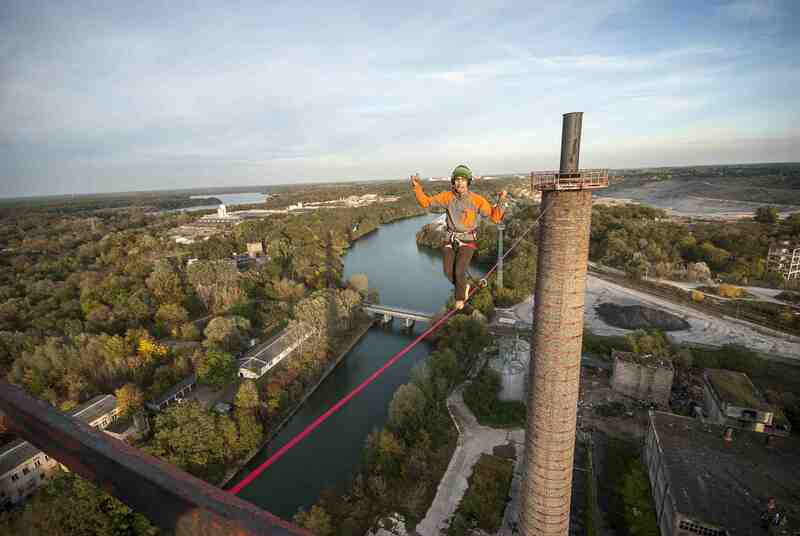 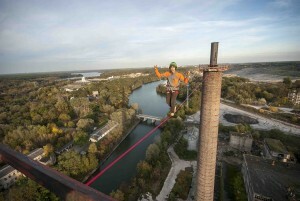 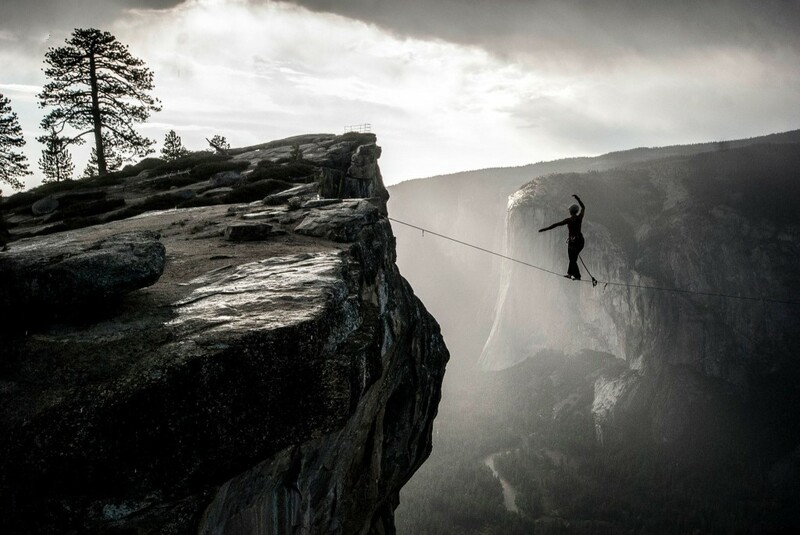 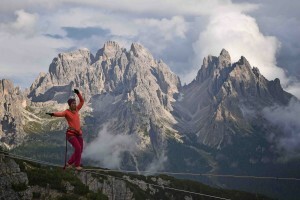 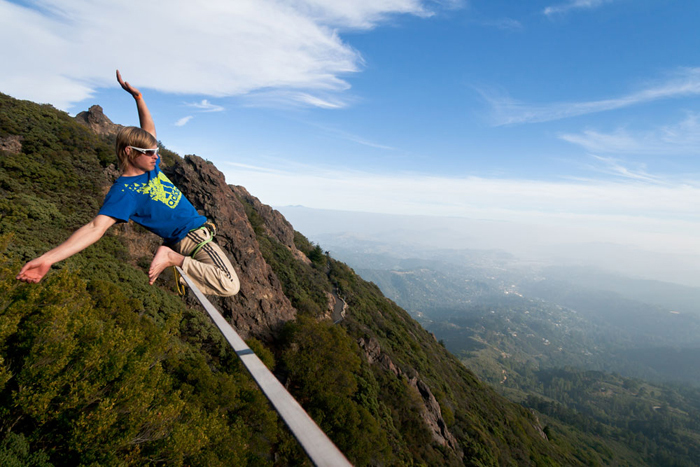 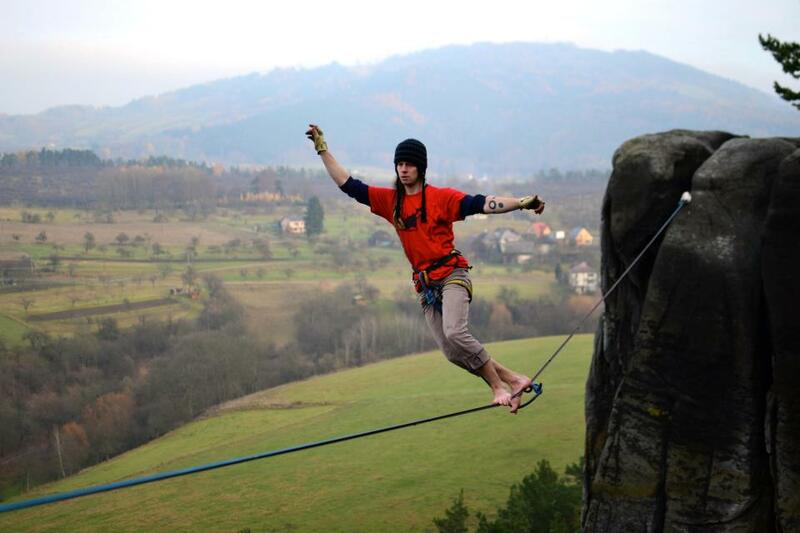 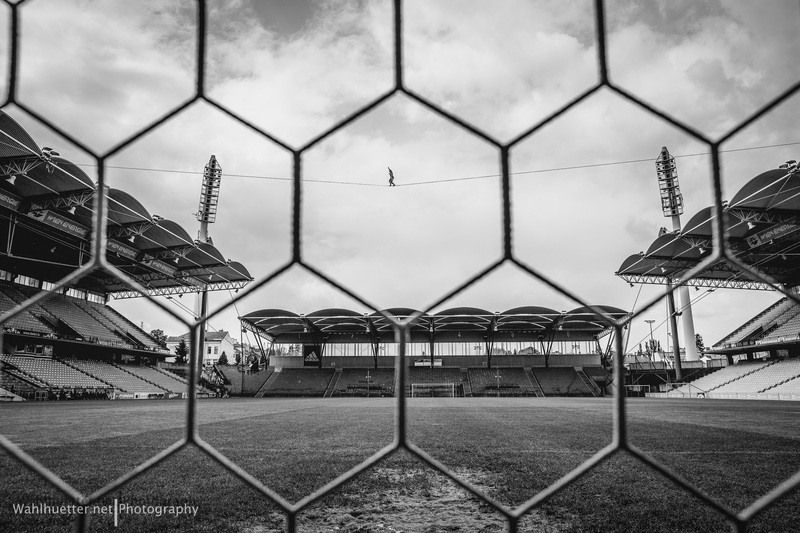 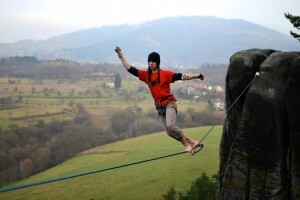 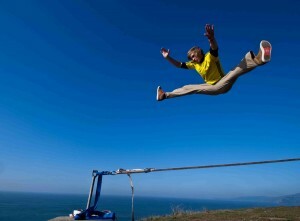 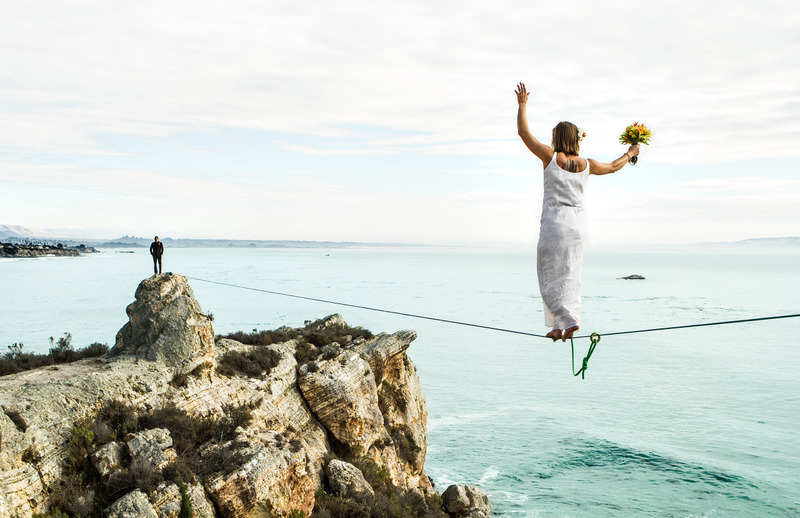 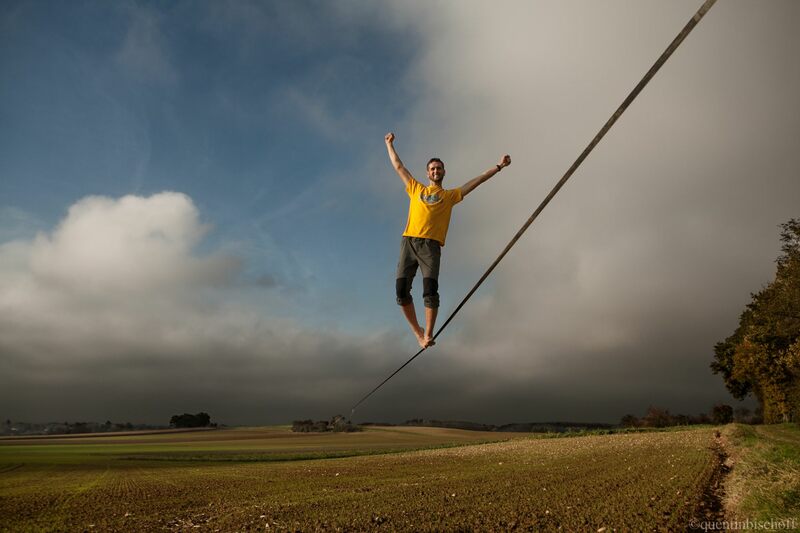 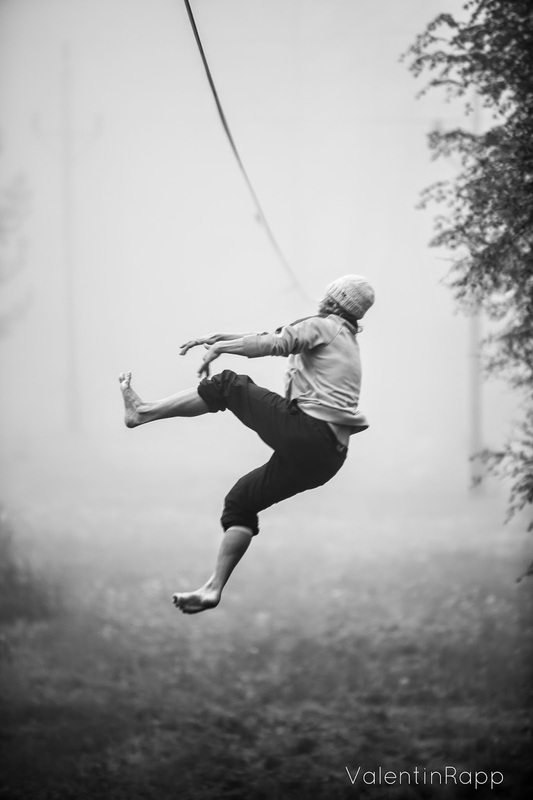 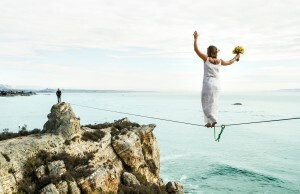 Do you listen music by slacklining, and what ? 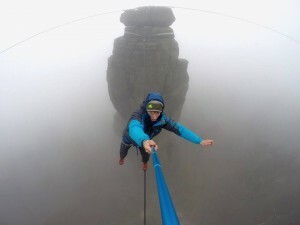 The last message you sent ? 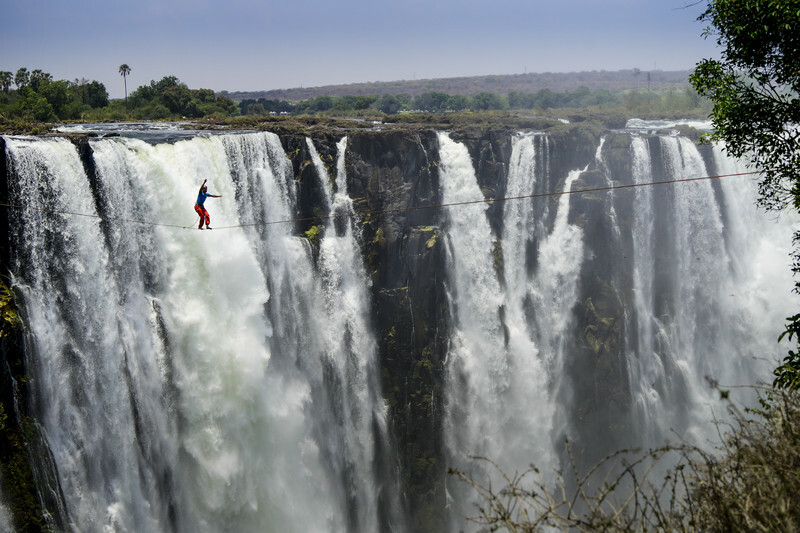 Where will you go in 2015 ? 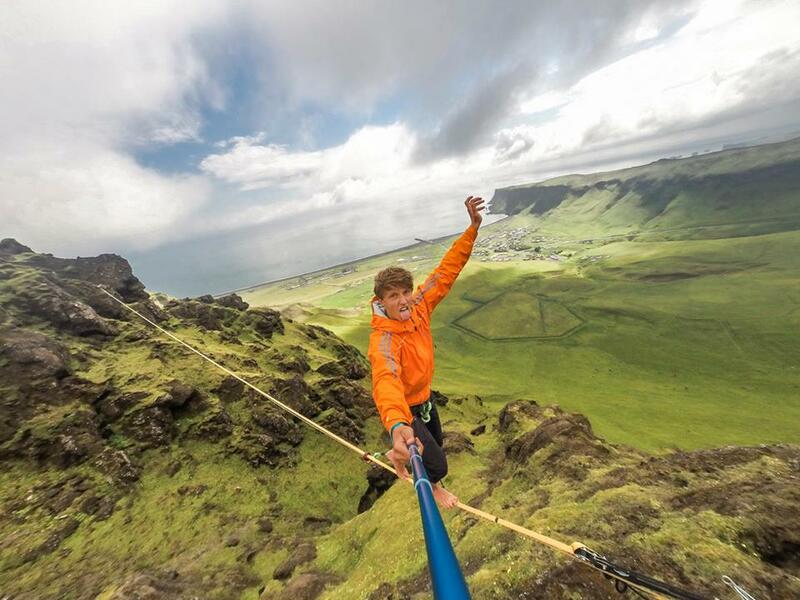 What does it feel to walk 405m and during a looooooong time ? By the way, do you like chocolate ? For sure ! 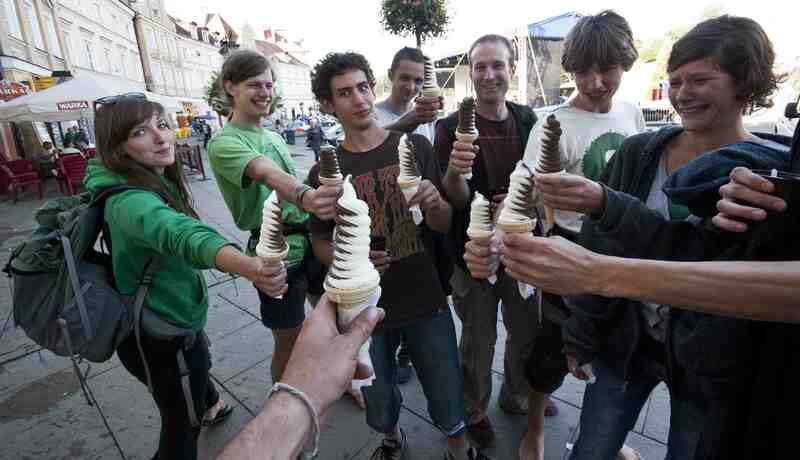 That reminds me i wanted to buy some !